Lhouette was born and raised in Luton, Bedfordshire, where he demonstrated early promise in the arts. Despite receiving high praise from his teachers and peer group, he surprised many by joining the Royal Navy on leaving school. Five years and twenty one Countries later, Lhouette returned to the UK, inspired and refreshed by the diverse cultures he had encountered. 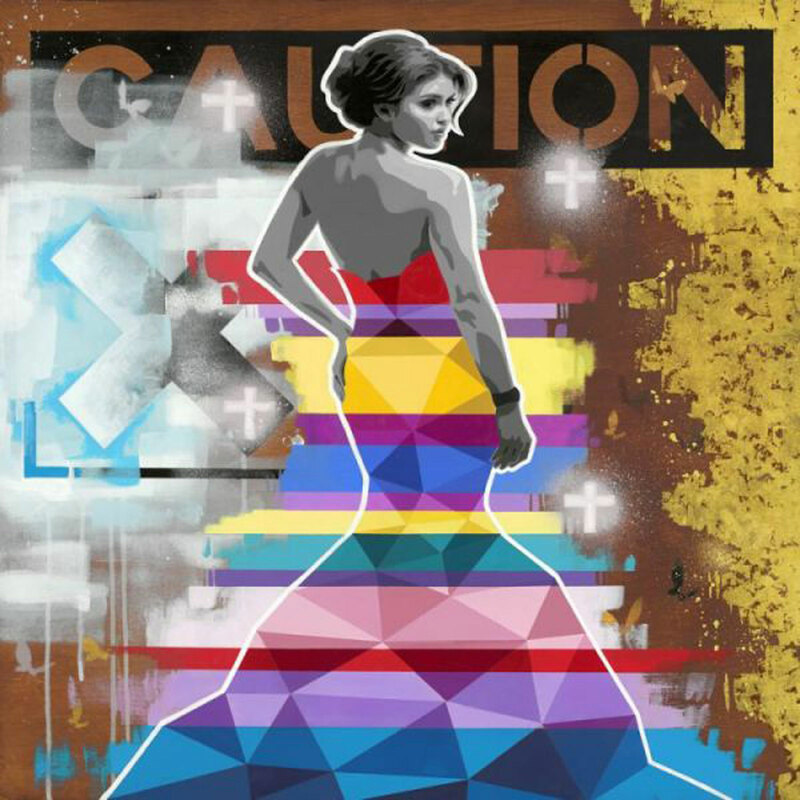 Lhouette wasted no time in establishing himself as a creative force to be reckoned with. 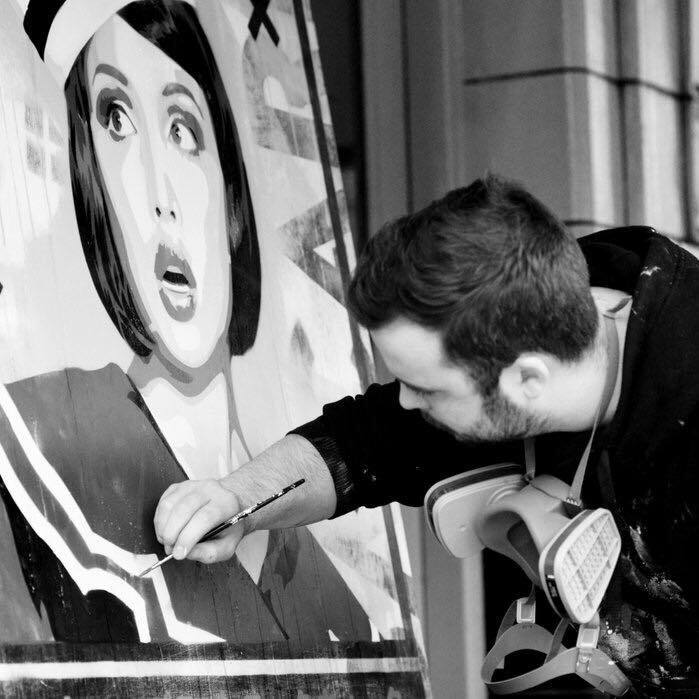 Within four years he had founded a high street art studio and exhibition space and achieved a postgraduate diploma in the arts from Birbeck College, whilst simultaneously forging a name for himself on the contemporary art scene as an exceptionally skilled and innovative artist. 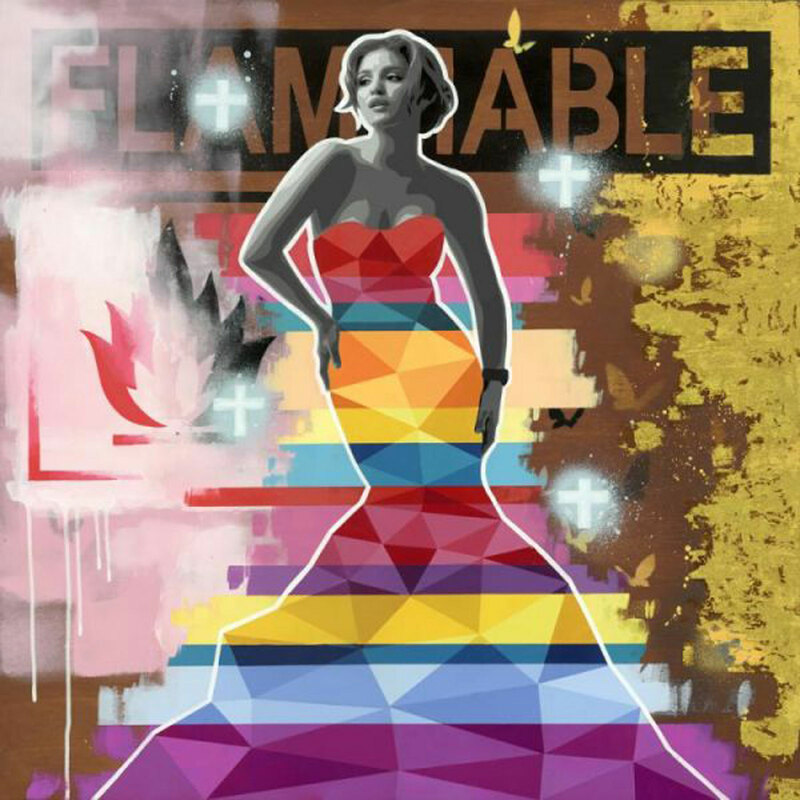 Lhouettes mixed media artworks are instantly recognizable by their vibrant colours schemes and trademark stripes, layering areas of intense detail through the use of spray paint and stenciling. 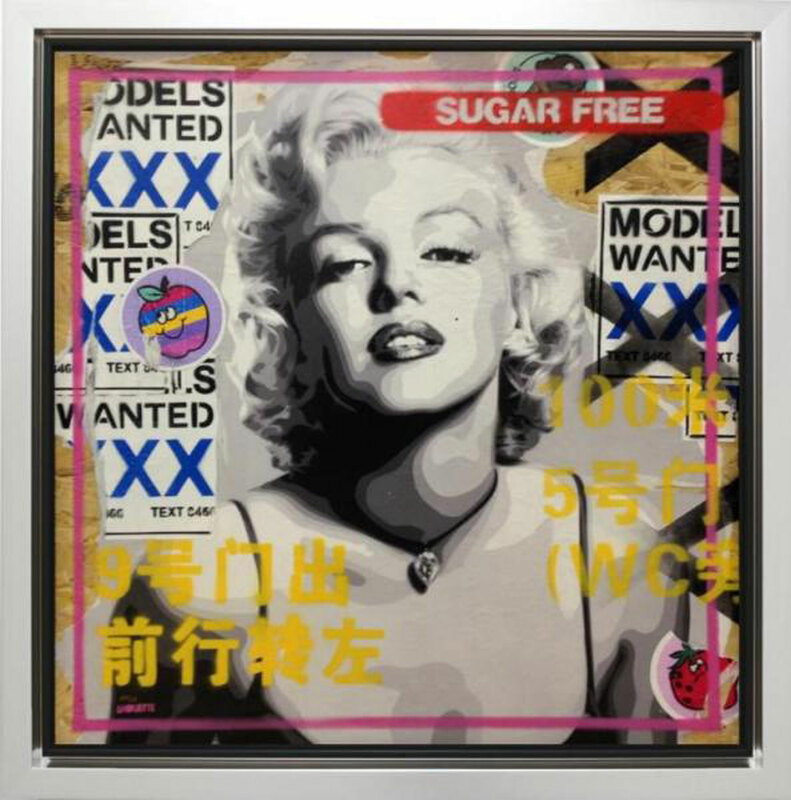 Despite evident urban influences and references to pop culture. Lhouettes style refuses to be defined, continuing to develop and evolve with astonishing momentum. 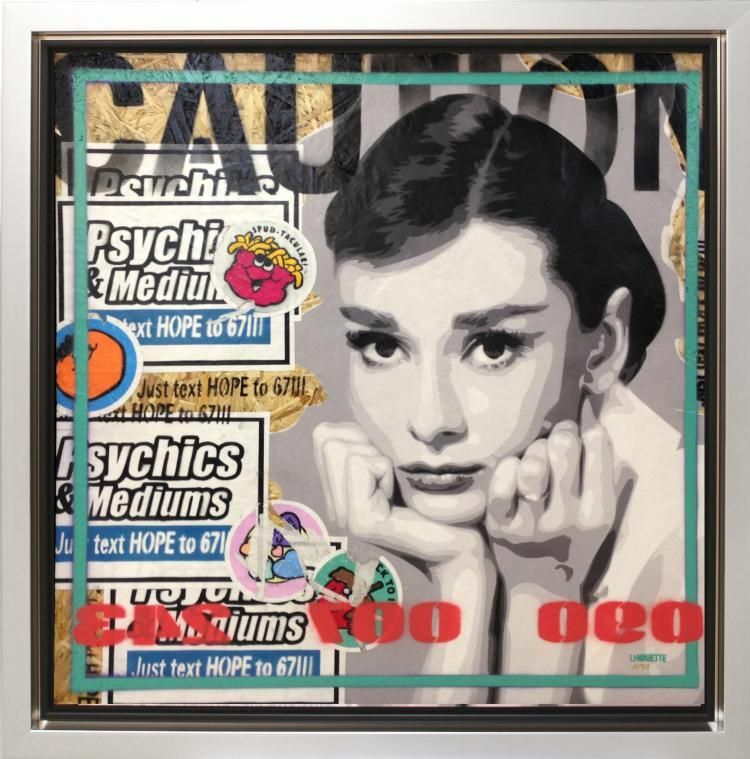 His sell-out debut solo exhibition and nomination for the Fine Art Trade Guilds Best Up and Coming Artist award 2014 caused many critics to herald Lhouette as the next Banksy, recognizing his promising investment potential and solidifying his reputation as one of today’s most innovative artists.